Tabernacle Children's Home began in 1962 under the direction of Dr. Harold B. Sightler and the Tabernacle Baptist Church. Knowing the need for the practice of pure religion as stated in James 1:27, Dr. Sightler and the members of the Tabernacle Baptist Church started the Home for the purpose of caring for orphans and children left from broken homes, as well as children from dysfunctional families. The facility has grown from one to five, two-story buildings. The Home has housed as few as 10 children to more than 150. Our prayer is that God would allow the continued expansion of our home so that we may minister to countless children who remain in need. It is the purpose of Tabernacle Children's Home to minister to the children in meeting their physical, spiritual, and educational needs. This is done through the ministry of Tabernacle Baptist Church, Christian School, and College. Our ministry spans the ages from infancy to 18 years of age, though we do not accept children beyond the age of 12, we will care for them to their adulthood. It is the preference of Tabernacle Children's Home to receive children through the recommendation of supporting Independent Baptist Churches. The operating structure of the Home is now a house parenting approach with house parents and children in each dormitory. Children that are received into the Home may not exceed the age of 12 years old. We do not admit children who have been in trouble with the law authorities or who have been drug addicts or who have major discipline problems in school. When admitting a child the parent or guardian is asked to agree to a two-year period of time for the child to remain in the the Home. If a child is admitted for a lesser time, then a monthly boarding fee must be paid by the parent or guardian. Each parent or guardian must have an appointment with the Superintendent for an interview. Both the parent or guardian and the child must agree to the child's release from the Home. Tabernacle Children's Home is supported by the ministry of Tabernacle Baptist Church and by various Independent Baptist Churches as a Home Mission Project. We make no charge to parents or guardians who place children in the Home for at least a two-year period. From time to time there are individuals who make special contributions to the general operations of the Home. Individuals and organizations contribute food, clothing, equipment, and special Christmas gifts to the children. 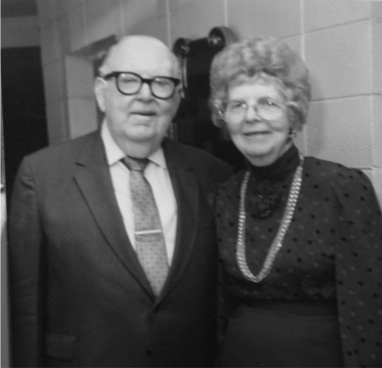 During Dr. Sightler's lifetime, he established the Tabernacle Children's Home Trust Fund. Contributions are made to this fund from estate wills, sale of properties by individuals, and gifts in memory of loved ones or friends of Tabernacle Children's Home. Dr. Sightler's desire was to sustain the Home through the fund should the need occur.